Yesterday my alarm went off and when I remembered that I was still injured and not getting up for a run I let myself drift back to sleep for a few minutes. When I looked back up at the clock 16 minutes had passed but that was not how my crazy brain read it. Instead I thought, “Crap I just laid here for 2 miles.” I had to stop myself and laugh because even I recognize that is pretty weird. My brain works in miles. I think in miles, I run in miles, and I plan my day around miles. It is both funny and slightly insane. 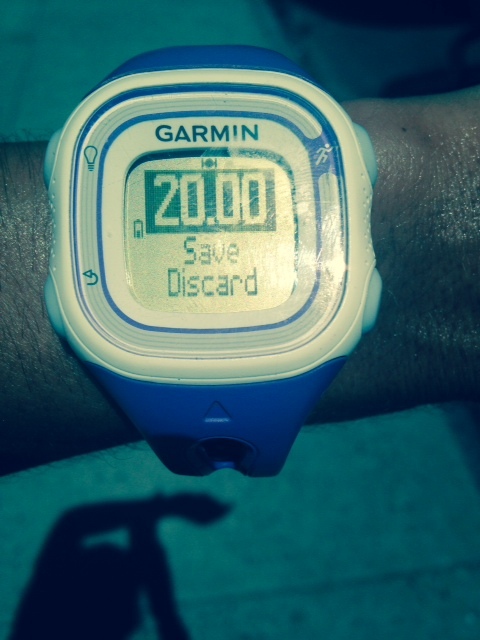 When I run, and especially when I do long runs, I pretend that each mile is 10 minutes. I don’t typically run 10 minute miles but I think it is a nice way to look at it and anything under that is considered icing on the cake. It makes it easy for me to say, “I have six miles to go. Only an hour left.” It is a nice round number that makes things easier to figure out. If I usually run 8:00min/miles it takes the pressure off of a Type A like myself trying to worry about what my pacing is. It is a strange thing when your mind starts to work in miles. A few years ago my husband and I got a summer house in Northern Michigan. It is in a small town and the roads are not well marked. To make it even more difficult, every GPS we have ever used gives you wrong directions. So when a friend came out to visit I sent her the following directions: Take a left at the road and drive 1.8 miles until you get to the green sign on the right (approximately .3 miles after the large “S” curve). Follow the dirt road for .1 miles down a small hill on the dirt road. At this point the GPS will tell you to turn right. Give her the finger, then ignore and take a left and drive for .15 miles until you reach our house at the end of the road. My friend replied and said something to the extent of, “I thought you said the GPS was off, those are rather exact details.” This is where I had to laugh like the nerdy runner I am and explain that I know the markers from my running route each morning. Yep, my life is even measured to the tenth of many miles. Last week I got the chance to run with a few awesome kids during a half marathon. As we got near the end, one of the runners was struggling and I saw on my Garmin that we only had a half of a mile left. As he was a newer runner, I knew that meant very little to a 13 year old boy. So I told him he had 5 minutes of running left. I urged him to think of something super easy that he could do in 5 minutes. “It’s a piece of cake,” I said. And then I laughed and said I could probably down two pieces of cake in those 5 minutes. We both laughed about that fact. Sometimes it is helpful as a runner to look at your life in miles. And sometimes it is easier to look at it in minutes. Another young runner asked what he should do this summer to stay in shape if he wanted to do a distance race in the fall. At first I thought of telling him to keep doing a few 3 mile runs each week but then figured it might be easier for him to just go and do 30 minutes of running on those days instead. At times we get hung up on the miles and it isn’t always about the mileage. If racking up the miles or trying to keep track of it has you overwhelmed, plan your running week out in minutes. Whether you are a 10 minute miler or not I think that figuring your running out with that average is a great way to look at it. Thirty minutes is an excellent minimum for getting your heart rate up, adequately working your muscles, and mentally feeling like you have given a decent workout. Yep, I’m the crazy one who did that as a way to clear my head one morning. If you want to take the time based approach to training for awhile keep in mind the following: Short runs are considered approximately 30-45 minutes. A medium run would be anything between 45 minutes to an hour and a half. Any run over an hour and a half would be considered a long distance run. Using a time based plan might help to take the pressure off of worrying about your mileage but you will still get a great workout in. As I get closer to getting back to running I am going to be using this plan myself to keep my focus on healthy amounts of time on my feet vs. getting in “X” amount of miles in each day. Try it out for a few runs and you might find a nice mental change of pace. When I started doing a walk /run I used time, because ‘finding time’ was an issue, and also saying to myself 10 minutes out, 10 back was easy. I had no idea how far a mile was and to realise that I was running less than a mile all told would have been quite demoralising! I’m not up to 10 minute miles yet but now I plan my runs in miles and estimate the time based on 12mins per mile. Sometimes though, that means I don’t go because I haven’t got 60 minutes plus shower to spare, so maybe I should go back to time, as if I did my 10 mins out and back I probably could do 2 miles at that pace. Actually I feel quite inspired now, that could be a way to get my speed up! Thanks! Julie. I am so happy to hear that. I think using time for run/walk plans is a great way to go and that is how I do most of my athlete’s training plans if this is their approach. Don’t let the time or distance determine if you have time or not to run. Just go for it and get whatever you can in! I think time is great if you run with a large group of people like a running club. You can say everyone runs 30 minutes out, 30 minutes back, and then go to breakfast or coffee or whatever… and everyone gets their own workout in with their little groups of people. That’s how we always do it, we have people logging 7-8 miles and others logging 4-5 but it works out! You are so right. It is a fantastic way for groups to get a run in. Hey!! I hope you’re having a great weekend and I’m glad you’re feeling better!! I like how you said your brain works in miles!!! Mine does, too!! Awww, I LOVE how you encouraged the kid you were running with!! That’s so great!! You’re the best!!! Oh my goodness….I love this philosophy, for running and for life. Thanks for sharing the giggle! This is awesome!!! I hadn’t thought of it that way, but now I realize I do think of things that way. I’m always like, ‘I could’ve run a 5k in the time it took to do that last task.” Haha! Nice! I think the same thing a lot. Sometimes when we get stuck in traffic I think I could have run there by now! 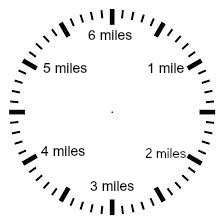 I know my running route’s distances by heart like that too, I know exactly when I’ll hit the KM markers, every time. I do find myself thinking in KMs sometimes, although for most aspects of my life I go by time. For running, KMs all the way when running outside, and on the treadmill I go by time. I love what you said to the kid about the cake, so imaginative of you to come up with that! Thanks. Sometimes you have to get creative and think a bit outside the box when you work with kids. I think the same way. I say I want to run 2 miles that 30 minutes. If I end up doing 3 miles in 30 minutes then that’s awesome. If I do 2.5 that’s great too. I do it when driving too. This place is 60miles away we will be there in about 1hour. I definitely appreciate a balance of miles vs minutes. Long runs are done with regards to miles, while I would say that I think of shorter runs with regards to minutes (at least until I start doing speedwork again, though who knows when that will be). It also saves me from waiting forever for my GPS to get going, haha. So I’m definitely more apt to go off of minutes (or at the very least tried and true routes that I know the miles for) in the winter–ain’t nobody got time to stand out in the cold!